A reckless commuter entering Ikebukuro Station yesterday was forced to reflect on the insufficient funds in his IC Card during the long walk back to the ticket machines. 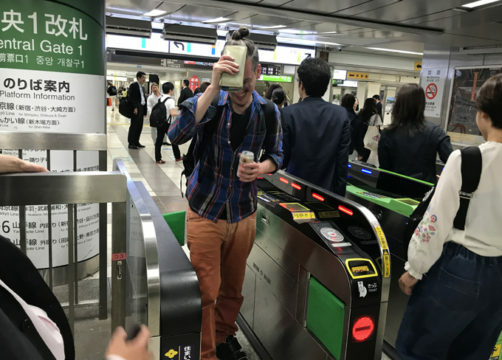 “I unreservedly apologize for the error of my ways,” the man expressed through his facial reactions as he bowed his way back through the barriers . The remorse shown by the man failed to ease the pain of the oncoming commuters who had no choice but to shift over to the next ticket gate. “I mean seriously, what is this jerkoff doing?” thought one commuter who lost at least two seconds repositioning herself into a different barrier lane. 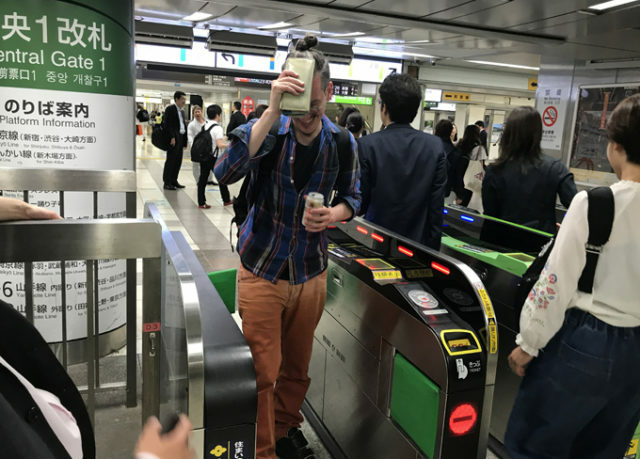 The man topped up his Suica with another 3,000 yen ensuring a reoccurrence of the incident would never happen again for at least one week.